Debt can be a useful tool to make large purchases such as your home, your education or your first car. Saving in advance for these purchases are difficult due to the large amount each item costs. Additionally, these expenses often come early in life when you haven’t had years or decades of a decent paying job to save for them. After all, my wife and I paid off $80,000 in student debt. Unfortunately, people use debt to buy more than large purchases like homes, cars and education. In fact, there are many items that people go into debt for that should never end up on a credit card or any other type of debt. Here are 13 items you should never go into debt to buy. I get it. Everyone wants to go on vacation. 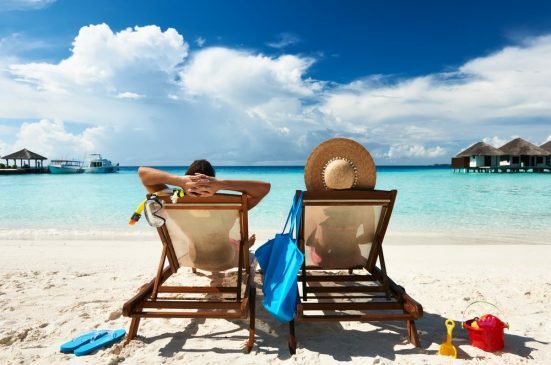 You could say people who can’t afford to pay cash for a vacation may need a vacation more than people that can. After all, an escape from tight budgets and the reality of being in debt would be a welcome reprieve. Sadly, you should never go into debt to pay for a vacation. Vacations are a luxury. Until you can fit the luxury of vacations into your budget, you simply can’t afford to go. Instead, you should increase your income, pay down your debt and save for an amazing vacation. Then, the vacation will be even more enjoyable because you won’t have to pay for it after you return home. Weddings are hugely hyped in the United States. These ceremonies often cost anywhere from a few thousand dollars to tens of thousands of dollars. The insane thing is, you have nothing to show from the money you spend on a wedding after the fact. Yes, weddings are important. You just shouldn’t go into debt for them. If you’re going to spend thousands of dollars on a single day of your life, you had better have saved enough to pay for that day in advance. Otherwise, you’d be starting your marriage with a major cloud of debt hanging over your head. Whether you are buying or renting a home, it is always tempting to buy new furniture to fill your new home. The sad reality is many people don’t have any cash left after putting a down payment down on a home or a security deposit down on a rental. Instead, people take advantage of financing deals that many new furniture stores offer. 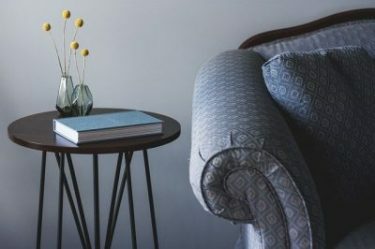 Even though that financing may be at 0%, you can’t afford to buy furniture if you’re putting it on credit. Instead scour craigslist for free or cheap furniture to use until you can save enough to pay for the furniture you want in cash. Everyone wants the latest iPad, Samsung Galaxy phone and 85″ LED smart TV. Unfortunately, these items usually have high price tags that people can’t pay cash for today. Instead, they finance these items using in store financing or phone leases or contracts that allow you to pay over 24 months. These items will depreciate insanely fast. It isn’t uncommon to see these items hundreds of dollars cheaper after just one year. If something happens and you can’t afford to make the payments, you’re up a creek without a paddle. Paying cash will make sure you’ll never end up in that undesirable situation. Giving to help others or even to put a smile on a friend or family member’s face is a nice thought. While gifts to others make us feel better, buying those gifts using debt isn’t smart. Even if you pay cash for the gift and then have to put other spending on a credit card, you can’t afford to give gifts. Instead of putting yourself into debt to buy a gift that the recipient probably won’t even remember in a couple months, dig yourself out of debt until you can afford to pay cash for gifts. You’ll feel much better knowing there won’t be a bill coming later to pay off the item you gave away. You should never go into debt to eat out at a restaurant. I don’t care if it is a cheap $5 meal at Taco Bell or an expensive $200 meal at the fancy steakhouse in town, dining out should never put you further into debt. Dining out is one of the biggest luxuries people waste money on. It is cheaper and usually faster to whip up a quick meal at home. Most of the time, it’s better for you, too. If you want to dine out and pay cash, it’s your money and your decision. Just don’t go into debt to eat out. Shopping for clothing can turn into an addiction for many people. When you go look in some people’s closets, you’ll see racks and racks of clothes, many of them with the tags still on them. The worst part is, people usually end up wearing the same few pieces of clothing over and over. If you’re opening a store credit card or any other form of debt to buy clothes, it’s time to stop. If you really need clothes, go check out second hand stores and only buy the items you need. Chances are you can get what you need by selling some of the clothes you already have in your closet but no longer wear. Part of being a homeowner means dealing with appliances that will eventually break. You would think people would set money aside to replace aging appliances because everyone knows appliances won’t last forever. Many people don’t. Instead, they rely on credit cards or store offers to obtain financing to buy new, pretty and expensive appliances. Rather than spending money you don’t have on new fancy appliances, go buy a cheaper appliance that works on craigslist. You can save until you can afford the $2,000 stainless steel French door refrigerator you want. The best part is, when you go to sell the old temporary refrigerator, you’ll likely be able to sell it for the same amount you bought it for if you are a savvy shopper. Buying or renting your home can eat up a lot of cash in a hurry. When you move in, your walls may not be the color you want. Your decorations may no longer fit the theme of your new home. In order to make your new house a home, you’ll likely want to start decorating right away. Painting walls and buying home decor on debt isn’t the right answer. These purchases are not necessities. While they may make you smile, they don’t add any functionality to your life. Wait until you can pay cash to decorate, even if it means waiting a few months. When you’re running your household on a tight budget, it isn’t unusual to end up spending more money than you make in any given month. The unfortunate side effect is incurring debt to pay for those expenses above your income. If you’re in this situation, it is time to cut out the entertainment until you’re spending less than you earn again. Time should be spent decreasing your expenses or increasing your income rather than going to a concert or watching the latest episode of Property Brothers. Once that’s fixed, feel free to start up the cable subscription again. Motorcycles can be great fun. I even had one once, but I’ll never buy another. When I bought my motorcycle, I made sure to pay cash. Motorcycles are usually a second form of transportation to your car. Essentially, that makes motorcycles a toy. While some people say motorcycles can save you gas money, they’ll never save you enough money to pay for their upfront cost as long as you still own a car. You should never go into debt to buy a toy, including motorcycles. If motorcycles shouldn’t be bought with debt, there is no way you can justify using debt to buy a boat or other watercraft. Boats, jet skis and kayaks can provide countless weekends of family fun. That fun shouldn’t be financed. 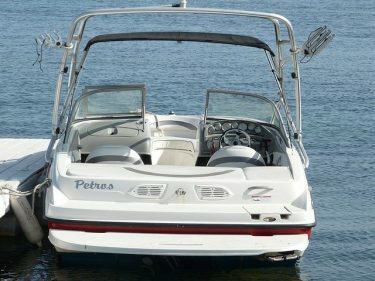 Motorized water vehicles may be used often when you first buy them, but most people quickly get tired of the hassle of taking a boat out on the lake. Then, they either sit unused in your driveway or, even worse, at a marina where you have to pay slip fees. If you can pay cash, you can afford to let a toy sit in the driveway. If you’re making payments, it just doesn’t make sense. RVs are another expensive toy that you shouldn’t pay for with debt. The memories may be priceless, but the monthly payments on new RVs sometimes stretch 20 years or longer. RVs may be an alternative to renting or owning a home if you prefer the location independent lifestyle, but all others that simply use RVs for weekend getaways or a vacation or two each year will pay dearly. RV trips often cost more than staying in a hotel or other type of accommodation after you account for the year round cost of interest and storage fees. Additionally, RV prices often decline drastically in value leaving you upside down on your new toy. Getting into debt to buy the above items doesn’t seem like a big deal when you make the purchase. However, when you get in over your head and can no longer make the payments on your debt, you’ll end up in a world of pain. Avoid buying the above items if it means taking out debt. You’ll be in much better financial shape and may be able to buy the items in cash with a bit of hard work and saving. Or you could also work to make more income. You can start by making more money online.